Ruby Iona Brooks Dent, age 102, passed away at Greene Point Health and Rehabilitation in Union Point, GA on August 27, 2018. 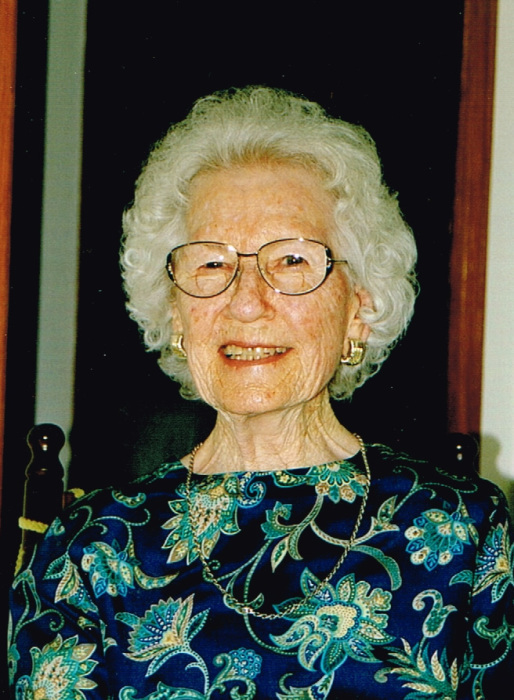 Born on August 21, 1916, she was the daughter of the late William Henry Brooks and Florence Lee Lankford Brooks. She attended school in Oglethorpe County and also graduated from business school in Athens, GA. Ruby married Theron H. Dent in December 1939 and lived in Charleston, SC where her husband was stationed in the US Navy. They later made their permanent home in Macon, GA. She was a sweet, giving, cheerful person, and a great cook. She always made the best pecan pies, a family favorite, for family get-togethers. She is survived by one sister, Nettie Brooks McKinley. In addition to her husband, she was preceded in death by siblings: Ollie V. Brooks, Leila Mae Brooks Aderhold, Waver Brooks, Benjamin F. Brooks, Weldon J. Brooks, Calvin Brooks, J. James Brooks, Elizabeth Brooks Allison, Evie L. Brooks Deal, and Alvin T. Brooks. Her sister, many nieces and nephews, and friends will miss her very much. Funeral Services will be held at 2:00 p.m. on Wednesday, August 29, 2018 at Callaway Funeral Home Chapel, 208 N. Rhodes Street, Union Point, GA 30669 with Rev. Bruce Lovin officiating. The family will receive friends from 1:00 p.m. until time for the service. Interment will follow in Greenlawn Cemetery, Rhodes Street, Union Point, GA. Serving as pallbearers are Doug Brown, Franklin Combs, George Spearing IV, George Spearing III, Richard Cronic, Wayne Jackson, and Albert Brown. Callaway Funeral Home, 208 N. Rhodes Street, Union Point, GA, (706) 486-4138, is in charge of arrangements. Visit us at www.mccommonsfuneralhome.com to sign the online guest register.